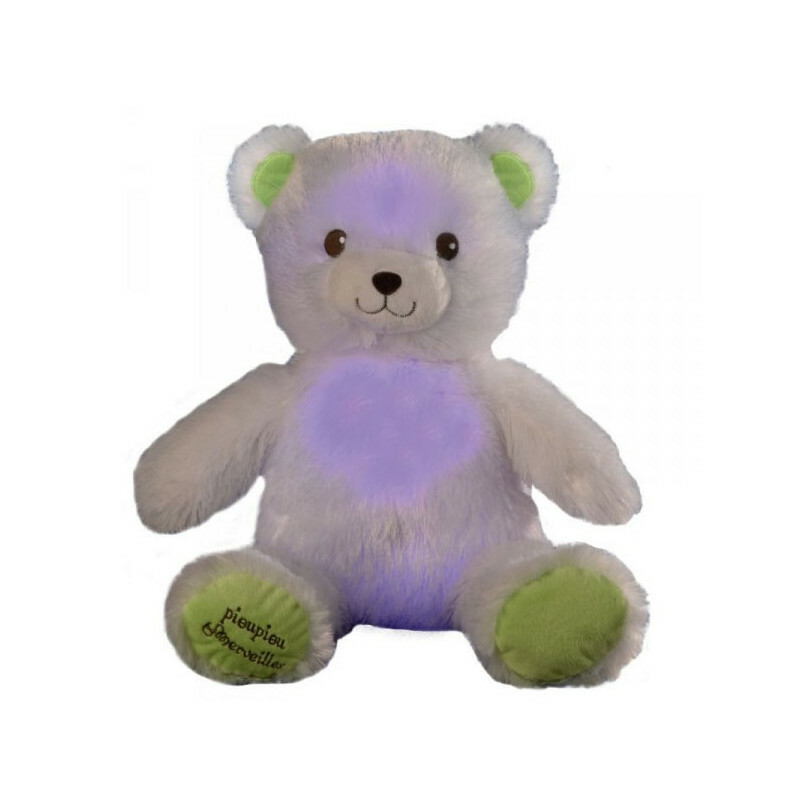 This adorable bear with a great smile is a cuddly toy that will naturally find its place in the child’s room. 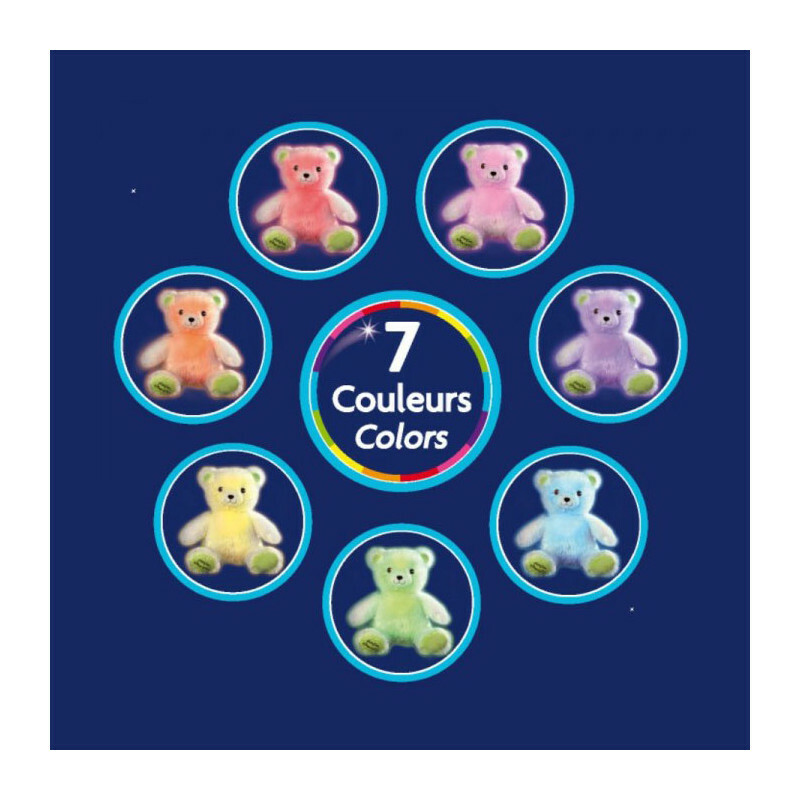 It lights up with the colors of the rainbow to calm little ones and accompany them into Morpheu’s arms. 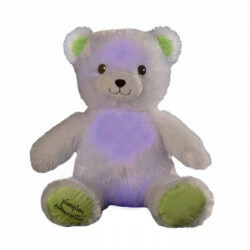 It is super soft and really calls to big cuddles! How to activate it: just shake it gently and it lights up. 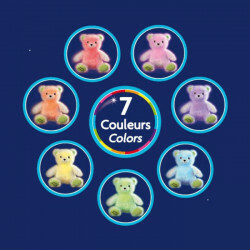 The child will learn easily how to switch it on himself, this will drive him to get reassured with the teddy without calling mom or dad every time. In the middle of the night, parents will appreciate the growing autonomy of their litte kid!